Mini-Site Header goes here.  Edit the .chabad_header CSS class. Since there are many legal intricacies in this sale, only a competent rabbi should be entrusted with its execution. The Rabbi acts as your agent both to sell the chametz to the non-Jew on the morning before Pesach starts and also to buy it back the evening after Pesach ends. The following form can be copied, filled out, printed and submitted to Rabbi Gancz by early morning, April 22, 2016, local time. If you are unable to submit your form to the Rabbi in person, you may submit your form online. Jewish law requires that your chametz be sold by the specified deadline for the location in which the owner will be on the day before Passover. If you will be in a location other than New York, please contact us for detailed instructions. To download a printable PDF form, click here. I, the undersigned, fully empower and permit Rabbi Shmuel Gancz to act in my place and stead and on my behalf to sell all Chometz owned by me (knowingly or unknowingly) as defined by the Torah and Rabbinic Law (e.g., Chometz, possible Chometz, and all kinds of Chometz mixtures), and also Chometz that tends to harden and to adhere to inside surfaces of pans, pots, or cooking, and usable utensils, and all kinds of live animals that have been eating Chometz or mixtures thereof, and to lease all places wherein the Chometz owned by me may be found, especially in the premises located at the addresses listed below, and elsewhere. Rabbi Shmuel Gancz has the full right to sell and to lease by transactions as he deems fit and proper, and for such time which he believes necessary. Also do I hereby give the said Rabbi Shmuel Gancz full power and authority to appoint a substitute in his stead with full power to sell and to lease as provided herein. Rabbi Shmuel Gancz also has the full power and right to act as he deems fit and proper in accordance with all the details of the Bill of Sale used in the transaction to sell all my chametz, chametz mixtures, etc., as provided herein. The above given power is in conformity with all Torah and Rabbinical regulations and laws. I will send a check by mail.